More and more today, people want their investments to reflect their values. It doesn’t make sense to choose organic food, recycle, or limit your use of fossil fuels, for example, only to invest your money with companies that pursue the exact opposite. That’s why Socially Responsible Investing (SRI) was born in the 1980’s. But what started out as a simple concept has become increasingly complex, with many product choices today, competing terms (for example, “impact investing” vs. “socially responsible investing” vs. “sustainable investing” — does it really make a difference? ), plus various fee structures and levels of social screening. Add to this all the standard requirements of successful investing, such as determining your goals and risk tolerance, asset allocation, when to buy and sell, choosing the best retirement accounts, etc., etc., and the whole process of simply wanting to invest with your beliefs can become overwhelming. 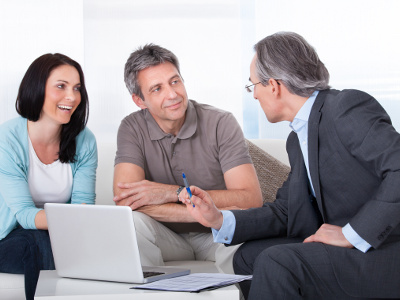 In our over 40 years of combined experience as SRI advisors, we have learned that more than anything people want a trustworthy personal consultant to make sense of it all — and of course to help them make the most rewarding decisions. That’s the Greenvest® difference. We take the time to really listen to your financial needs and social issues, then explain in plain English every concept so you feel truly comfortable in moving ahead. We help guide you to the right types of accounts to start — taxable, tax-advantaged or trust accounts — to maximize long-term returns. We create customized SRI portfolio(s) for your unique situation and beliefs. And we are available to you throughout the year to answer questions and monitor your investments. In a world of increasingly automated and impersonal investing, it’s nice to have a firm that still believes the personal touch is best. If you agree, let’s talk.